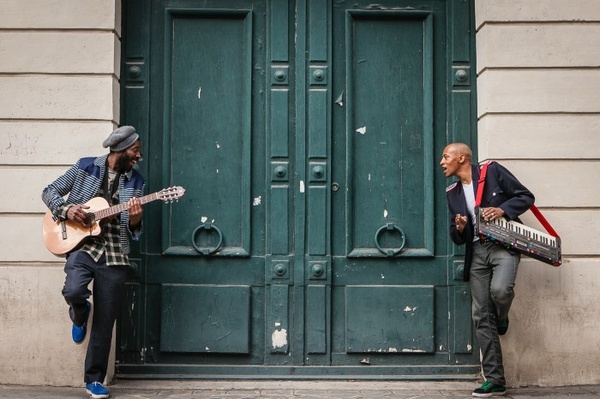 The French-Afropean duo is back with a new funky masterpiece album, Aimez Ces Airs. 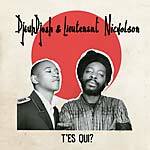 DjeuhDjoah & Lieutenant Nicholson are French composers and Afro-soul singers. The duo is creating a new vibe with French sounds and mixing it with jazz, Afrobeat, electronic, and soul. T'es Qui? (HC 034CD, 2015) was their first album released in 2015 and re-released a year later under the name Remets T'es Qui? (HC 044CD/LP, 2016). It was result of an intense collaboration that has lasted many years, on stage and in the studio. They call their music "Afropean songs", a collection of jazzy-pop melodies, Afro-soul, and funk arrangements. This album has 15 songs and features a tribute to the famous poet Aimé Césaire on the title. The Antilles are also honored with creole lyrics, and if you listen carefully -- you'll hear them distilled within the album. La Montagne Pelée's eruption in 1902 is evoked under the prism of August Cyparis, one of the three survivors. The rhythms are tight and focused, with some Antilles, but also Detroit elements thrown in, accompanied with a strong horns section, vibraphone, and analog drums. There are lots of echoes from the era of jazz funk and the lyrical French mode, mixed with some slightly warmer currents that show their wider love of modern funk and eclectic tastes. It is a unique sound, an original recipe, using French wordplay with a universal message. In the summer of 2018, they presented the now critically acclaimed first single "El Nino" (HC 057EP), an Afro-funk gem about climate change, and "Fontaine", an Afro hit with a great combination of analog take and electronic dancefloor ingredients. With massive support from national radios and prestigious international DJs such as Gilles Peterson, Aimez Ces Airs could be one of the top funky albums of 2019. Cover designed by the artist Felix. Mastered by DJ Vas. 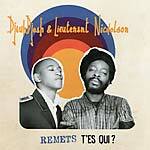 DjeuhDjoah & Lieutenant Nicholson is a French composer's and an Afro-soul singer's duo. T'es Qui ? (HC 034CD, 2015) , their first album, was a fruit of an intense collaboration during many years on stage and in studio. They call their music "Afropean songs" - a collection of jazzy-pop melodies, Afro-soul and funk arrangements. The two singers pervade you with an invitation to travel, but also to knowledge and thought, where girls, politics, celestial bodies, Africa, Cameroon, West Indies and their entire family heritage, take a place of honor. Brainstorming and moving toe is the delicious moment you'll get, when listening to their songs. DjeuhDjoah & Lieutenant Nicholson have a real and unique way to build and write their songs, a mix of conscious and poetics lyrics, with natural and strong harmonies. The album was recorded between "The Bermuda Triangle", Lieutenant Nicholson's home-studio in Paris, Mato Production's studio for the rhythm section, and mastered by DJ Vas. 12 original songs recorded live with Honky Tonk Man on bass, Jeff Ludovicus on drums, and Ours, famous French singer came as featuring on the Jazzy song called "Goujat". Remets T'es Qui? will blow a real fresh wind on the French musical scene. Includes an unreleased track called "Banale Histoire". LP version. 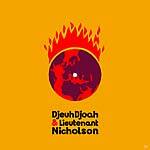 DjeuhDjoah & Lieutenant Nicholson is a French composer's and an Afro-soul singer's duo. T'es Qui ? (HC 034CD, 2015) , their first album, was a fruit of an intense collaboration during many years on stage and in studio. They call their music "Afropean songs" - a collection of jazzy-pop melodies, Afro-soul and funk arrangements. The two singers pervade you with an invitation to travel, but also to knowledge and thought, where girls, politics, celestial bodies, Africa, Cameroon, West Indies and their entire family heritage, take a place of honor. Brainstorming and moving toe is the delicious moment you'll get, when listening to their songs. DjeuhDjoah & Lieutenant Nicholson have a real and unique way to build and write their songs, a mix of conscious and poetics lyrics, with natural and strong harmonies. The album was recorded between "The Bermuda Triangle", Lieutenant Nicholson's home-studio in Paris, Mato Production's studio for the rhythm section, and mastered by DJ Vas. 12 original songs recorded live with Honky Tonk Man on bass, Jeff Ludovicus on drums, and Ours, famous French singer came as featuring on the Jazzy song called "Goujat". Remets T'es Qui? will blow a real fresh wind on the French musical scene. Includes an unreleased track called "Banale Histoire". 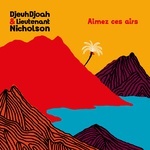 DjeuhDjoah & Lieutenant Nicholson is a French composer-and-Afro-soul-singer duo. T'es Qui? is their debut album, the fruit of an intense collaboration of many years, both live and in-studio. They call their music "Afropéan," a collection of jazzy-pop melodies and Afro-soul and funk arrangements. The two singers evoke knowledge and thought, where girls, politics, celestial bodies, Africa, Cameroon, the West Indies, and their entire family heritage take a place of honor. Both cerebral and physical. These songs are a mix of conscious, poetic lyrics and natural, strong harmonies. The album was recorded at The Bermuda Triangle (Lieutenant Nicholson's home-studio in Paris), with the rhythm section recorded at Mato Production's studio, and mastered by DJ Vas. Twelve original songs recorded live with Honky Tonk Man on bass, Jeff Ludovicus on drums, and the French singer-songwriter Ours on the jazzy "Goujat."